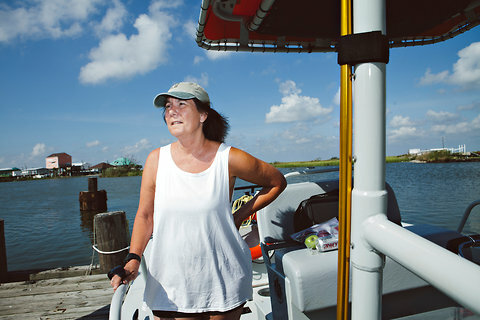 John D. and Catherine T. MacArthur FoundationNancy Rabalais, a marine ecologist who has studied the dead zone in the Gulf of Mexico and fostered public awareness of the problem and its causes, in Cocodrie, La. 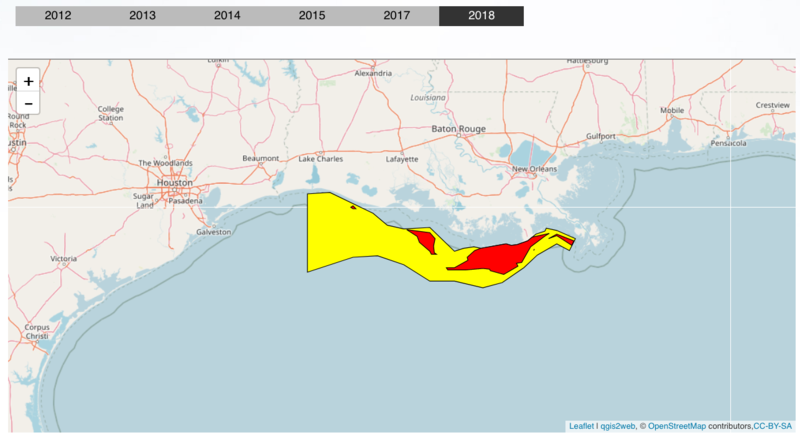 For over a quarter-century, the marine ecologist Nancy Rabalais, the executive director of the Louisiana Universities Marine Consortium, has worked to understand and to spread awareness of the so-called dead zone in the Gulf of Mexico. Shrimpers trawling the Gulf of Mexico first began noticing a decline in their catch rates in the 1950’s. By the time Dr. Rabalais entered the scene in 1985, fishermen and scientists knew that marine life there was suffering recurring, devastating bouts of death by suffocation but had only a spotty understanding of the process and what might be done to mitigate it. Dr. Rabalais helped fill in the gaps, and in recognition for her research and policy campaigns, she recently received a $500,000 MacArthur Fellowship. We spoke with Dr. Rabalais about her work and her plans for using the grant money. Following are excerpts, edited for brevity and clarity. These are areas in the Gulf of Mexico and elsewhere around the world where there is insufficient oxygen for most marine life that we would readily recognize — like fish, shrimp, crabs — to live. I don’t know why they call them dead zones because not everything is dead. There’s some bacteria that thrives in low-oxygen environments, and there’s usually plenty of fish at the surface because it typically affects just the lower half of the water column. The dead zones that form in coastal areas are usually the result of human activity in the watershed that drains through the coastal water. 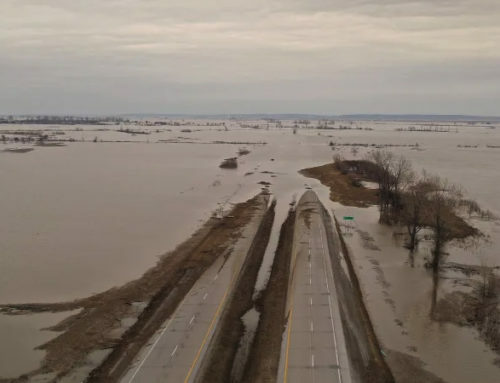 In our case it’s the Mississippi River; changes primarily include increases in nitrogen and phosphorous in the river over the last four decades. The flux of nitrate and the size of the low-oxygen area are directly proportional to agricultural activities in the watershed that generate nitrogen and phosphorous. Some does come from cities, some is atmospheric, but the bulk of it is from agricultural practices, particularly row crops and corn and soybean rotations. How did you first get involved in dead zone research? 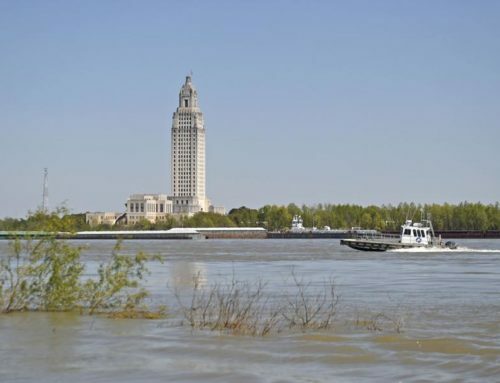 [the Louisiana Universities Marine Consortium]. The director, Don Boesch, knew there was an issue. 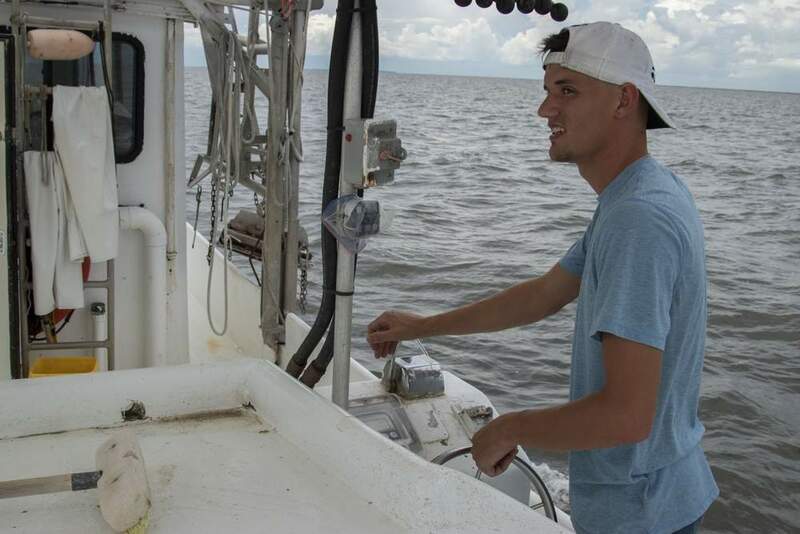 Shrimpers had reported on areas where they couldn’t catch anything. He was from the Chesapeake Bay area and knew about its low-oxygen area, and we knew that the nitrate was going up in the Mississippi River. We were able to get some money from NOAA [the National Oceanic and Atmospheric Administration] to conduct our first proofs in 1985. We found a fairly substantial area, and just through persistence and the availability of federal dollars for extramural research, we’ve been able to be competitive and keep this thing going for the last 28 years. How has your work contributed to our understanding of dead zones? We look at all different kinds of things together. We know much more now about where it occurs and when it occurs and at what depth, as well as the biological and physical factors that are involved in its formation and maintenance. We’ve learned more about organisms and their responses. Basically, organisms flee if they can. Others that can’t will die. But we have a much better idea now on shifts in community structure, the decrease in biodiversity, abundance and biomass. That’s pretty obvious. What we don’t know is some of the more detailed processes, like the nitrogen processing. 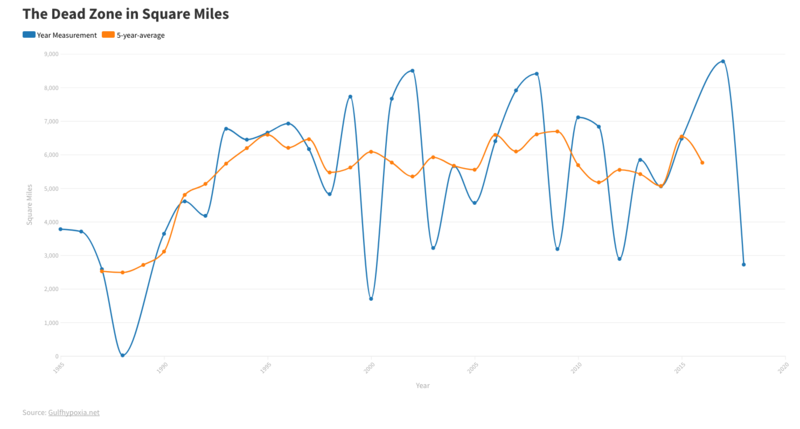 Then, by working with people in the watershed and using the sediment cores, we’ve been able to link time sequences with changes in the watershed to changes in the coastal waters. 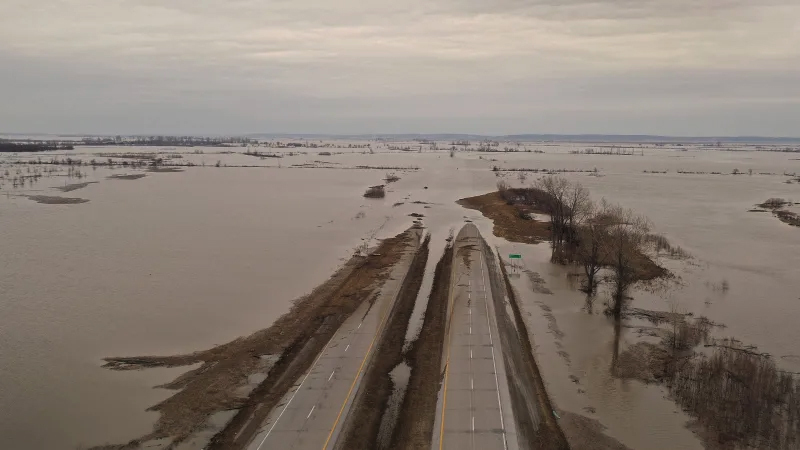 That allowed the formation of teams and action plans to try to reduce the amount of nutrients in the Mississippi River. Not that it’s been too successful yet. But there are a lot of people with really good intentions and who are doing things on a smaller scale in the watershed, such as sustainable agriculture or just doing best management practices and approaching the use of land in a different way than big agri-businesses do. It’s a matter of shifting social and political will to try to have a larger landscape effect. How has your work spread awareness and informed policy about dead zones? Our efforts have been a team effort. But I am the one who works most to bring this to a public and policy level. That led to the development of legislation called the Harmful Algal Bloom and Hypoxia Research and Control Act. That’s been reauthorized at least twice now, and there’s funding that has been appropriated in that legislation to better understand hypoxia — not just in the gulf, but elsewhere around the rest of the U.S. 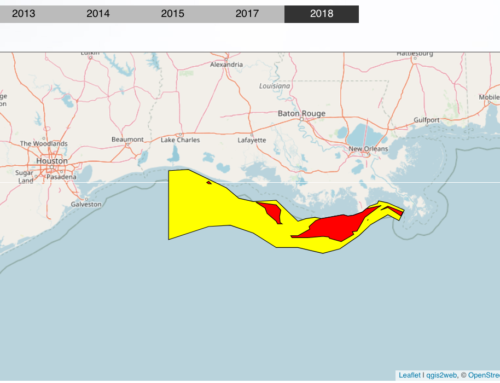 It led to the formation of a nutrient task team for the watershed in the Gulf of Mexico, a federal and state collaboration to try to work together to bring down nutrient levels and to develop the hypoxia action plans that are guiding their efforts. So I’d say yes, it’s had a big effect on policy. I believe that the results of our research should be made accessible to the public. Most of it has been paid for with public funds. So I do my best to share our results in an understandable manner to people of all levels, from elementary school all the way to Congress. Not everybody knows about the dead zone. 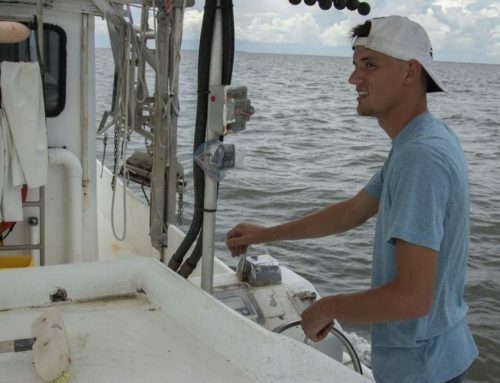 But anybody who fishes or trawls in the Gulf of Mexico knows about it because if there’s not enough oxygen, they’re just not going to catch anything. What questions are you and others currently investigating? What do we still need to learn? Right now we’re just trying to hang on with the cuts in the federal budget. We’re still investigating processes out on the [continental] shelf such as respiration and nutrient cycling. We’re continuing to look at these tiny organisms, the foraminiferans, to find out not just what’s in the historic record but how they change over an annual cycle. 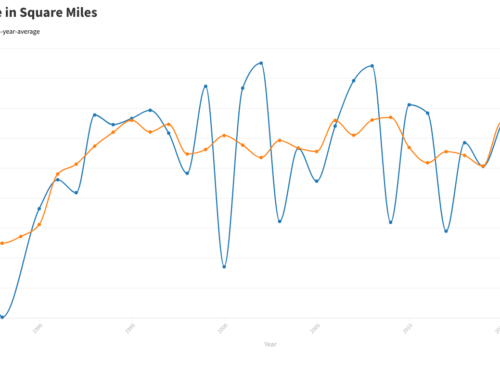 We still maintain real-time oxygen measurements, which gives us very fine detail on how the oxygen changes in relationship to weather, waves and current. How do you hope to use your MacArthur grant to achieve your goals? As I mentioned, the federal budget has been slashed, especially within NOAA for funds that go outside the academic institutions, and we’re one of those. Our funds for this year were cut by 43 percent. So I’m going to use the money as I can to try to supplement research funds to cover things that I wouldn’t have been able to cover, like students and travel. What is ultimately needed to clean up the dead zone mess? That would be a shift in agricultural policy and practices to reduce the nitrogen and phosphorus that’s getting into water. To do that, we would need a whole series of best management practices. Some of it comes from the atmosphere, from fossil fuel burning, coal plants and automobiles. That’s a way-of-life decision. Certain types of diets require that you use less of the landscape and nutrients, too. I’m talking up-the-food-web, so instead of a basic grain and pasta diet, when you start going up to chickens, pigs and cows, it takes more nitrogen. And those are also personal choices. One of the issues here is that there’s not just poor water quality in the gulf, there’s also poor water quality in the middle of the United States. There’s toxic algal blooms, there’s excess nitrate in water wells and drinking water. If things like that were taken care of in backyards in the Midwest, it would benefit Midwesterners and eventually the Gulf of Mexico.